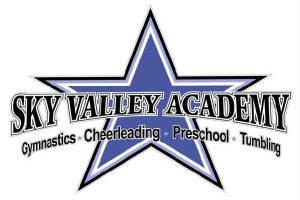 Sky Valley Preschool Academy is an academic based preschool program offering students a variety of learning opportunities throuh many different activities. Each day students have a gymnastics class with a coach in their own 10,000 sq ft gym. Students will learn preschool skills on vault, bars, beam, floor, pit, trampoline & rock wall. They have free play and game time each day also. During the Summer we will be offering a more relaxed hands on atmosphere with different themes every week.